C.W. Gortner is one of my favorite historical fiction writers! He always picks really unique women in history to write about and he always captures the essence of their story in a unique way. Being a male author writing about women in history isn’t an easy deal especially……I know when I pick up the first book I read by him, I was skeptical because how can a man understand what a women is going through? But I was completely blown away with how well Gortner connected to the historic figures and created a beautiful fictional story mixed with historic facts about that person. In this latest book, I was again comforted by Gortner’s signature style of interesting, strong women characters and a very engaging story! I am not as up on my Borgia history as I should be so this novel was more or less all new to me. 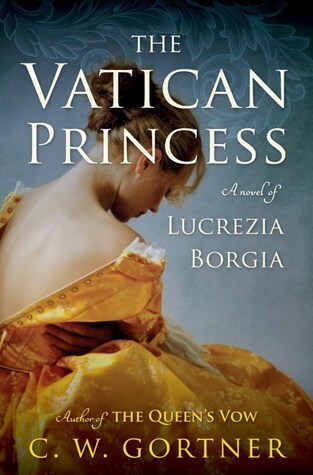 I know a little about the family and Lucrezia, and their basic history but haven’t really studied them in depth so this book was a treat for me…..something fresh and new! With the ascension of the Spaniard Rodrigo Borgia as Pope Alexander VI, a new era has dawned in Rome. Benefitting from their father’s elevation are the new pope’s illegitimate children—his rival sons, Cesare and Juan, and beautiful young daughter Lucrezia—each of whom assumes an exalted position in the papal court. Privileged and adored, Lucrezia yearns to escape her childhood and play a part in her family’s fortunes. But Rome is seductive and dangerous: Alliances shift at a moment’s notice as Italy’s ruling dynasties strive to keep rivals at bay. As Lucrezia’s father faces challenges from all sides, the threat of a French invasion forces him to marry her off to a powerful adversary. But when she discovers the brutal truth behind her alliance, Lucrezia is plunged into a perilous gambit that will require all her wits, cunning, and guile. This book started a little on the slow side for me I think mostly because of all the politics. A lot of the political happenings were relayed to Lucrezia from messengers because she was in her room for safety….so I felt like the audience had to wait and wait and wait for things to happen/develop or to get the next piece of info. Then when we did get something, I felt like I got a little lost in all the political things that were happening….I wanted to get more into Lucrezia’s story rather than focus on what was happening in the ‘larger’ picture. However, I understood that the political piece was important to the overall story so I tried to process it the best I could but I will admit I was relieved when we started getting more into Lucrezia’s story and things started picking up. I think Gortner did a great job at depicting Lucrezia as a women stuck in a difficult time, I liked that he didn’t portray her as helpless or as a victim of her circumstance. I felt like she evolved throughout the story and grew into her character, ultimately ending up a strong woman. I almost felt like the ending was ill timed as I felt like there was still more to tell about her life but in the end I was satisfied with the way the book ended. I would gladly read any book by Gortner! He has a real gift for storytelling and I always walk away from one of his books feeling like I learned something about history or a historic figure that I didn’t know before. Even if it’s historical fiction, there is a wonderful amount of research in his novels and I feel a connection to the characters as well as the historic elements! Another hit for Gortner! 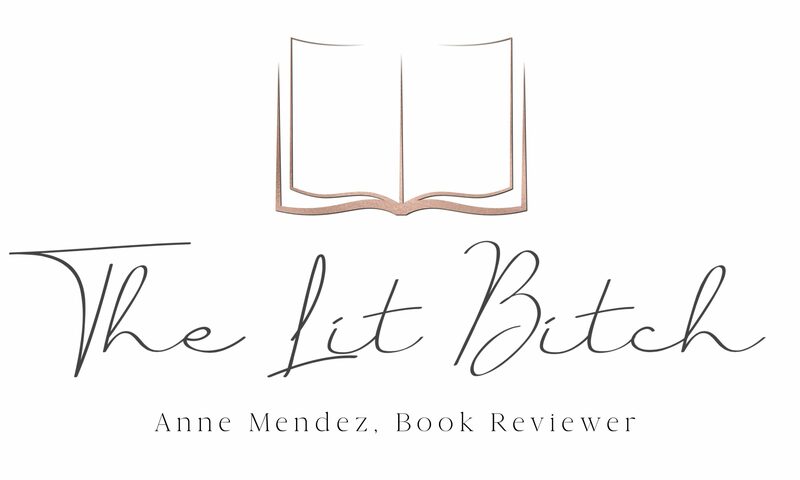 Please check out other stops on the tour for author interviews, guest posts, giveaways, as well as a number of other reviews! The schedule is listed below!